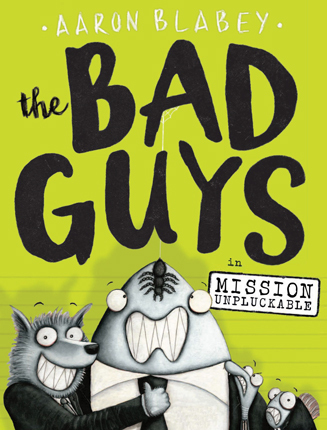 School Library Journal - 01/01/2017 Gr 2–4—The "Bad Guys" return for another rescue mission. This time their goal is to free 10,000 chickens from Sunnyside Chicken Farm. Readers new to the series will benefit from the summary that kicks off the story. However, fans of the original will also delight in one of the most creative synopses appearing in serial books. In this second tale, Mr. Wolf is still trying to prove that his crew is filled with "good guys," which isn't always easy. While Mr. Snake agrees to aid in the chickens' release, it is clear to readers that he would rather eat them. To accomplish the chicken rescue operation, Mr. Wolf must enlist the help of a computer-hacking expert. Despite Mr. Shark's trepidation, a tarantula joins the team. In a spoof on "Mission Impossible," the heroes must break into the security system, navigate laser beams, and avoid wall sensors. It's "Mission, Like, Totally Impossible." Blabey continues to charm a wide age range of readers with uproarious storytelling and artwork that features exaggerated facial expressions. Readers will revel in the voice of his newest character. Variations in font sizes and styles not only make the pages sizzle but also aid developing readers. A twist at the end of this installment is sure to have kids begging to read more. VERDICT Guaranteed to be a hit for chapter book readers looking for humor and action.—Beth Parmer, New Albany Elementary Library, OH - Copyright 2017 Publishers Weekly, Library Journal and/or School Library Journal used with permission.